A ZIMUNYA man who fatally hit another patron with a brick on the head during a bar scuffle in 2012 when he was still a juvenile walked home a free man last week after a Mutare High Court judge slapped him with a wholly suspended jail term. Tendekai Mukwindidza was found guilty of murder as defined in Section 47 (1) (a) of the Criminal Law Codification and Reform Act Chapter 9:23 when he appeared before Justice Isaac Muzenda. He was sentenced to three years imprisonment, wholly suspended for five years on condition that he does not commit a similar offence in the next five years. In suspending the sentence the court noted that the accused committed the crime when he was still a minor. The judge also noted that the matter had dragged for years without being tried and had the accused person being convicted back then when he was still a minor he could have been taken to a rehabilitation centre. It was the State’s case led by principal public prosecutor Ms Jane-Rose Matsikidze that the accused and the deceased were not related but they resided in the same village. “On September 21, 2012 the two were both at Garura Business Centre and the accused was watching a game of draught with his friends. ‘‘The deceased who was apparently drunk approached the accused and his friends and started asking questions which were duly answered. “When the deceased continued asking the same questions the accused and his friends became exasperated and left for a different bottle store. ‘‘The deceased followed them again and started demanding that the accused and his friends buy him beer but no one complied. Infuriated by the negative response the deceased began assaulting the accused and his friends. ‘‘The suspect then picked up a half brick which was lying on the ground and hit the deceased on the head. He died on the spot,” said Ms Matsikidze. Among other agreed facts between the defence counsel and the State, it was noted that the deceased died because of head injuries he sustained during the attack and a post-mortem concluded that death was due to severe head injury. 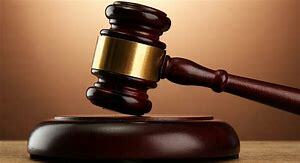 The parties also agreed that the accused person acted negligently in his conduct owing to his youthfulness and poor sense of judgement which caused the death.